Priyanka Chopra and Nick Jonas Are Officially Engaged! Priyanka Chopra and Nick Jonas Are Officially Engaged! She was Bollywood royalty, a dazzling dancer and actress, stunning the industry with her exquisite talent. He was a former Disney Channel star, his raspy vocals and musical skill shining in his role as one third of an iconic boyband: a stepping stone into his future solo-artist career. One day, she came to the United States and began landing major roles in hit television shows and Hollywood movies, establishing a link between two major film industries and becoming a trailblazer in her own right. Once they met, the rest was history. Sounds like the plot of a high-budget romantic movie, doesn’t it? Well, Priyanka Chopra and Nick Jonas are living such a film in reality. Chopra and Jonas are officially engaged, announcing it to the world after the engagement ceremony, held in Mumbai, India. Adorned in traditional Indian garments, the couple solidified their bond, partially through introducing their families and friends to one another. The lovebirds even posted pictures together after the event, with captions that represent the love they share. Although the conditions of the proposal itself are still largely under speculation, Jonas is rumored to have dropped the question in London earlier this summer. He apparently even closed an entire jewelry store just so he could pick out the perfect engagement ring for her. If you had told me five years ago that Priyanka Chopra, Bollywood superstar, was going to marry Nick Jonas from the Jonas Brothers, I would have laughed at it and dismissed it as impossible. From the perspective of an Indian-American girl, their engagement signifies a collision of two completely different worlds, ones that I never in my life would have expected to merge. For me, Priyanka Chopra was the “It Girl” from the Bollywood films, who I watched in the company of my mother and a steaming cup of chai. For many Indian girls who grew up in America, she embodied a modern connection to Indian culture and heritage. Hollywood, with its overwhelming influence on American media, never really had a female Indian celebrity for young Indian American girls to look up to. So, all of these girls’ and my idols were found in Bollywood. The industry’s ability to connect people to Indian culture, in this sense, was the first of its kind. Then there is Nick Jonas. 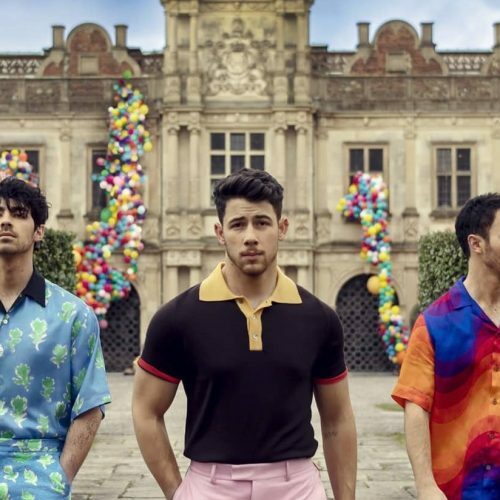 My generation grew up watching the classic Disney Channel, filled with “The Suite Life of Zack and Cody” and “Hannah Montana.” The Jonas Brothers were THE boyband of the time, a trio of teenage heartthrobs that released albums who we all occasionally still cue up on Spotify. Every single young girl that was brought up in America had a crush on at least one of the Jonas brothers. Imagine finding out that your childhood celebrity crush is engaged to marry a woman you idolized for her empowered global presence, who exists as a representation of someone you aspire to be. Bizarre, right? Engagements are a meaningful and joyous occasion for everyone involved, but this one feels especially powerful for Indian girls that grew up in an American world. It is a connection so unexpected, but also so satisfying and heartwarming. Indian American girls have struggled to exist in two different spheres simultaneously, balancing an Indian cultural link while constantly being exposed to all things American. Now, the gap between these worlds seems to have gotten just a bit smaller.